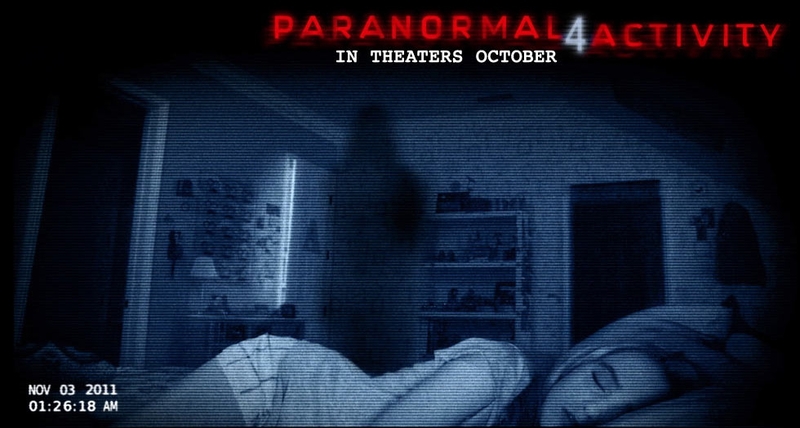 The movie Paranormal Activity 4: trailer, clips, photos, soundtrack, news and much more! Paranormal Activity 4 Movie – It’s closer than you think! Is the film sponsored by Microsoft? If not, then they must be happy to get free advertising for Connect! Paranormal Activity 4 Film Trailer – In theaters: October 19, 2012. Well, get ready to jump out of your seat when startled! Paranormal Activity 4 Movie – In theaters: October 19, 2012. The activity has found a new family. You know that creepy kid from your neighborhood, the one who’s always talking to an imaginary friend? Well, maybe the kid is talking to a ghost or a demon! So don’t mess with that kid, be nice! The fourth Paranormal Activity movie. Exorcists and ghost hunters, go get a kinect (the motion sensing input device by Microsoft for the Xbox 360 video game console and Windows PCs): it will make your job much easier! Trailer of Paranormal Activity 4 directed by Henry Joost and Ariel Schulman. Paranormal Activity 4 – Front door open. Will the teen girl survive to the evil demon’s tricks? You’d better stock up with holy watter, sage, and salt because evil demons may well target your house and family one day! All the activity has led to this… It’s closer than you think! That naughty demon went in through the back door! Is a looking for a young wife this time around? Anyway, the release date of Paranormal Activity 4 is set for October 12, 2012. The plot is undisclosed at this time but maybe you guessed the whole story from those few seconds seen in the teaser trailer. Care to share with us?